BDS (Syd), MScMed (Syd), DClinDent (Adel) MRACDS, MOrth RCSEd. Dr Vandana Katyal is an Australian certified and registered Specialist Orthodontist since 2013. She is highly experienced in delivering the latest, most efficient and most comfortable invisible orthodontic treatments. Dr Katyal earned her Bachelors of Dental Surgery in 2001 and her Master of Science in Medicine (Clinical Epidemiology) at The University of Sydney in 2010. In 2013 Dr Katyal completed her Doctor of Clinical Dentistry in Orthodontics from The University of Adelaide and Membership in Orthodontics, from the Royal Australasian College of Dental Surgeons and Royal College of Surgeons Edinburgh. Dr Katyal’s research interests are in the field of paediatric sleep-disordered breathing, snoring and oral appliances. Her research has been published in both Australian, European and American orthodontic journals. She is the recipient of two prestigious Sam Bulkley AB Orthodontics Travelling Fellowships in 2013 and 2014. Awarded by the Australian Society of Orthodontics Foundation for Research and Education towards her research interests. Dr Katyal shares this honour along with only the most distinguished Australian leaders in the field of Orthodontics. Dr Katyal is also an avid lecturer at national and international orthodontics conferences. Recently, her research has been featured on Channel 9 national news, ABC radio, 4BC radio, The Daily Telegraph, The Sun Herald as well as the Bite dental magazine. She is very passionate about delivering the best treatments and results for her clients using the latest evidence-based techniques. 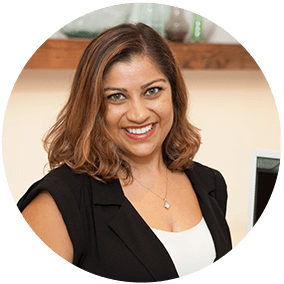 Dr Katyal thoroughly enjoys maintaining her practice, Clean Clear and Correct Smiles, in Mosman as a fun and comfortable environment for her patients. Watch Dr Katyal’s welcome video for her practice CCC Smiles. Craniofacial and upper airway morphology in pediatric sleep-disordered breathing: Systematic review and meta-analysis. The efficacy and safety of articaine versus lignocaine in dental treatments: a meta-analysis. Australasian Dentist – Clear aligners: improving predictability from good to great!